Nearly 56 years ago, Dr. Martin Luther King delivered his inspirational ‘I Have A Dream’ speech at the Lincoln Memorial. A true visionary, Dr. King’s dream depicted a future for the nation where unity and respect prevailed. While many view the famous speech as one of Dr. King’s many contributions to the civil rights movement, he spoke as part of the March of Washington for Jobs and Freedom. Dr. King traveled to Washington D.C. and participated in the March to not only progress the civil rights movement, but another movement for which he left a lasting impression: the American Labor movement. Dr. King understood equality had not yet reached the workplace as there was a clear difference between a job and a good job. However, he believed that strong unions were essential to combating that difference. Dr. King’s approach to the labor movement is one that still empowers LIUNA today. On the night before his death, speaking to striking sanitation workers in Memphis, Dr. King said, “Nothing would be more tragic than to stop at this point.” Realistic that challenges and attacks are inevitable, workers and union leaders must never give up, stand strong beside one another, and hold peaceful demonstrations to move closer to a completely equal workforce. 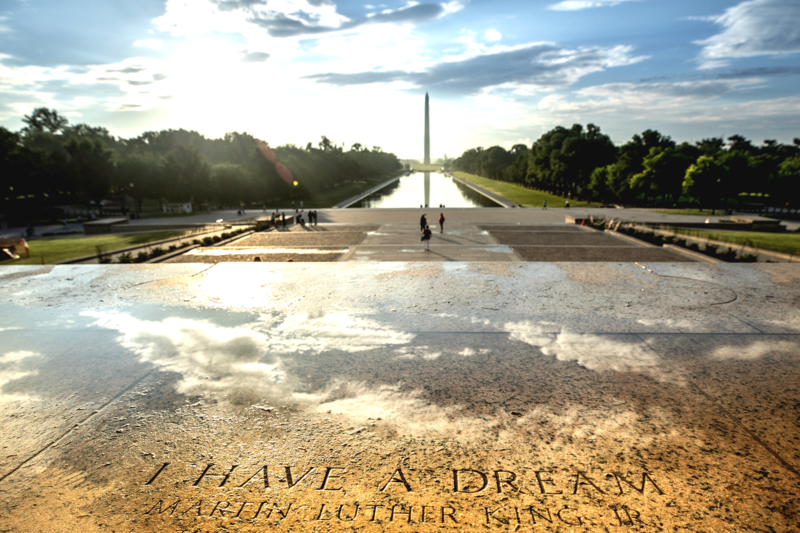 To the thousands captivated by Dr. King’s ‘I Have A Dream’ speech in 1963 to the millions who have revisited his speech every year since, today gives us time to reflect on our own dreams to improve society. For LIUNA, that dream is to continue raising workplace standards so working men and women can achieve a better life for themselves and their families.